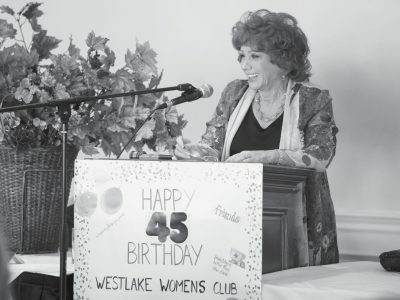 HAPPY DAY—The Westlake Women’s Club marked its 45th birthday at a luncheon on Oct. 8 at the Westlake Village Inn. Top, Gail Claridge of Gail Claridge Interiors and Gifts delivers the keynote address. Right, Helene Ross, one of the club’s founding members, cuts the birthday cake. 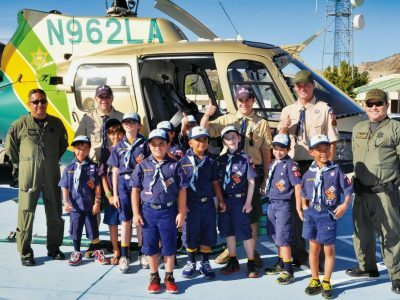 The club members raise money each year for charities.